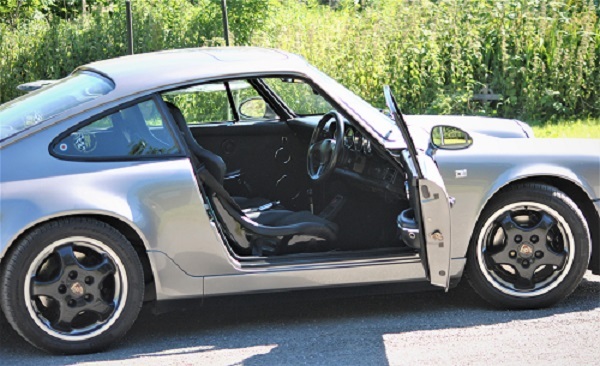 Anyone have any advice on how to fit pole position ABE seats in to a 964 , i was just about to buy my side mounts and recaro rails when Dave from southbound told me they wont fit as the ABE seats are slightly wider than the FIA pp seats for which he has the correct parts . I'd also be interested in hearing any experience on this, as i'm looking at fitting my ABE PP's into my 993 which i'm sure will be similar/same fitment as the 964. Have heard that floor mounts do result in reduced headroom which might be an issue for taller drivers (don’t forget helmet reduces headroom too). The FIA pole position seats are a slightly different width to the ABE PP which is the problem , the FIA seats are a narrower seat and fit well on to Southbound side mounts and recaro runners also the southbound mounts have the seat belt housing point built in and sit lower than the recaro mounts , im still trying fathom this out as there are so many conflicting ideas on how to do it , RPM recommend their own mounts with recaro runners part numbers 869426 & 869416 they are not cheap and im concerned about the height they will sit at, another option is Brey Krause r 9062 mounts which are supposed to work with existing 964 runners but again ive read different things about this option one being they do fit but dont slide , i will get on and post up the end result when im done . Some info in the following link re ABE PP's in a 993 using Southbound Mounts. Have you sat in the FIA version? I was fitting some of these to a beemer and got fixated on the ABE vesrion as the one to have as being a larger type size.. However i bumped into a FIA type PP seat and tried it and it was a superb fit for me and i’m not twiggy’s little brother. Depends how snug you want them. For a road car i'd say the ABE's are perfect. I'm 6ft and well built (broad), 36" waist and wouldn't want to be any more snug in a road seat, hence the ABE PP's are perfect for me. 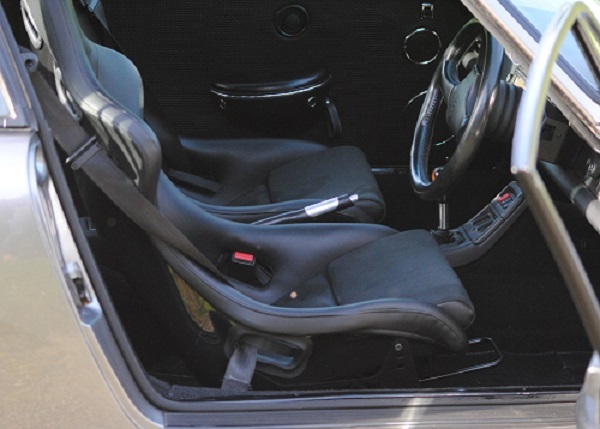 thanks .. Well there you go , Dave from southbound told me his side mounts dont fit the ABE seat set up and in this thread (link) they do if fitted with 993 runners , ive already bought some now from RPM so we will see if they fit the recaro runners i am buying . Also this guy could have used the rear 964 seat belt buckles and looped them through the side belt holes in the seat bolster, this was RPM suggestion ! . OK got everything i need now , i will post all the details when im done. Cool. Fingers crossed for an easy fitting. Seats installed , very comfortable , obviously a difference to the sports seats, ( just i little harder ) after about 50 miles i was settled in, now done over 2000 miles and they really are perfect for me (6ft ) no complaints at all. FITTING was a bit of a hassle finding the correct runners and side mounts for a easy fit , eventually i asked Craig at RPM for some advice and he was very helpful he even ordered the correct parts for me, thanks to RPM. 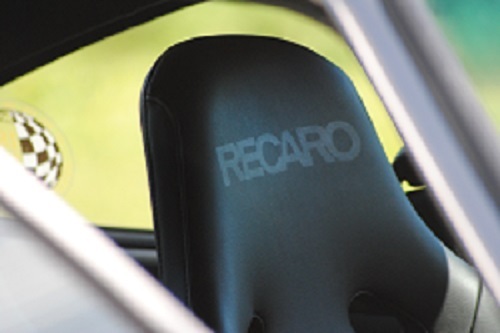 Runners used were recaro part no 869426 passenger side and 869416 drivers side but to be honest both packs were exactly the same and not every piece is required ! Side mounts were from RPM . little tip here , make sure you fit the runners the right way up as you can (with some messing about ! ) fit them the wrong way up they do fit straight into the 964. Seat belt buckles are used from the back of the 964 as they are more flexible therefore can bend to fit through the opening in the bolster of the new seats, you need to cut off the plastic surround or better still just cut the plastic across the middles so they are more flexible and not to loose. I blacked out the Recaro logo on the seats as it was to much for me , i have enough writing on my windows already, i changed the whole interior to black , fittings for the seats adds £600 to the overall cost !. Looks and thanks for posting the part no's. Looking forward to getting mine in soon. That looks ace Keith. Did you change the other interior parts, or recolour them? 2015 Cayman GTS. No more PDK but still red. They look great, nice work getting them fitted. John the carpets and most of the interior was already black so i dyed the rear quarter panels, rear shelf and centre console myself . Looks great Keith, I’d paint the backs of the seats body colour! Horizon blue, 964 carrera 2 tip, lowered on koni's, k&n, de-cat, cup pipe, leather trim and 18" 3 piece split rims. Silver 928 S2, B reg, manual. Guards red 944 lux, the new project!